2019 Best Mattress for Back Pain. Sleep Away Soreness. 1/3 of our lives is spent asleep, so your bed has a significant influence on your health! Traditional types maintain their shape, pushing back against your body. A firm, supportive mattress is important, but traditional materials can force your body to build up pressure points. This can exacerbate lower back pain and have a major effect on your health. It also means a huge loss of sleep. If you experience chronic back pain, memory foam mattresses might be a big part of the solution! Memory foam beds cradle your body. When you lie down on memory foam, the air in the cells beneath your body squishes out. But, it doesn’t go away–it escapes to other nearby cells. So, if one area of your body needs more room, it’ll get that while the rest of your body remains supported. This all means that your spine is properly aligned all night long, and your body can fully recuperate. You’ll probably have seen ads for TempurPedic, Sleep Number, and other big name brands–they make beds which claim to help your body get back to a healthy, tension-free state. These big brands come with a hefty price tag, though. And while you’re making a significant investment for your health, you shouldn’t have to break the bank to get a good night’s sleep. We’ve done some research and found three models from online retailers who cater directly to people who need the best mattress for a bad back or anyone with a bad spine. These have been designed to help you experience pain-free, comfortable nights, leading to restful, productive, and healthy days. And best of all, they’re all less than half the price of most major brands! The density rating of memory foam can give you a sense of how much “give” you’ll have in bed. Most foam models have layers of multiple types of foam, ranging from a base (stability) layer to a softer, responsive surface. Density also varies within each model. Most memory foam beds are not one solid block of foam. They are a series of graduated layers, varying in density and design function. The top layer is softer and more pliant for comfort and body-contouring. It’s supported by a firmer, denser base layer for structure and stability. Depending on the specific brand, there may be up to 5 or even seven layers, each with a different purpose. In most cases, the top layer adapts to your body shape and is the key to the memory foam experience. It’s a lot less dense than the rest of the layers. This layer tends to be the most variable and may contain gel or other materials to help keep body heat from building up. Beneath this layer is the core, which sometimes includes ventilation systems. The core is much denser, and provides you a big block of structure to keep you from sinking too far into the mattress. So, when you’re comparing models, have a look at the particular layers of foam. Some companies build in cooling systems, gel beads, and other great features that you won’t see from the outside of it. You’ll be able to see a diagram in the photo section of most listings, so be sure to check it out! Make sure you’re ticking all the comfort boxes when you shop for your new bed. Memory foam, unlike traditional versions, tends to retain body heat. New models are designed to minimize the effect, but you’ll want to double-check for specialized features. As we’ve said, key features to look for are air flow channels, gel beads, or open-cell foam. After all, you don’t want to solve your back problems only to find yourself overheating! ​No one wants to wake up during the night to a sweaty bed, it's not comfortable. You can solve that issue by adding a cooling pad just above your mattress but that defeats the purpose of having a wonderful memory foam bed because it reduces its benefits just a tad bit. Also, you will have to spend a bit more for it, and cost a lot more electricity. In this article and other online reviews, you’ll hear about a chemical odor which commonly comes from new memory foam beds. This effect is called “off-gassing,” and is perfectly normal. These beds come vacuum sealed, to save space, and as they expand, they’ll put off an odor. Generally, after an airing-out period, it won’t have a smell at all. However, you’ll want to see what the manufacturer recommends. It’s best to let them air out somewhere well-ventilated. CertiPur US and other certifications guarantee less off-gassing. Also, make sure to take your allergy needs into account: some models are specifically designed to eliminate allergies/bacterial activity while others are not. Many options have hypoallergenic surface layers, which really help cut odors and irritants to a minimum. Our recommendations aren’t from major retailers (Sealy, Tempur-Pedic, etc.) You’ll probably be surprised at how inexpensive they are. However, they do boast long warranties and tend to be quite durable. These companies have every bit as much confidence in their product as those major box store brands while maintaining much more competitive pricing. As you might expect, costlier models tend to have more features, such as more sophisticated cooling technology or motion isolation, as well as using US-made and “green”-rated foam. 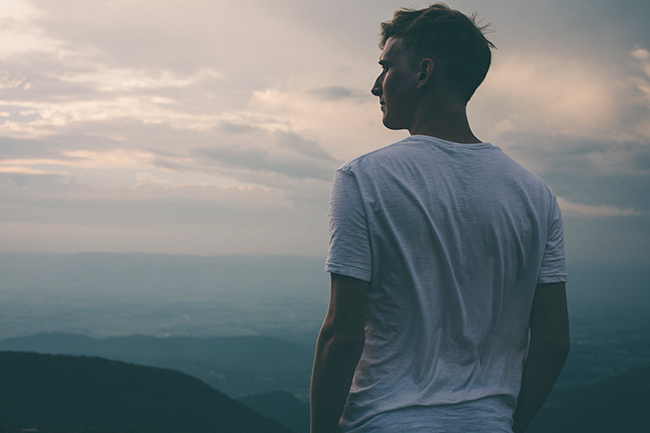 The best testament comes from fellow consumers–people who also experience back pain. We’ve read and compiled the most helpful reviews to show you firsthand experiences of these great products. These three specific models that are extra firm for your back pain can give you the therapeutic quality of memory foam while still staying within a reasonable price range! This Sleep Innovations mattress model is a good choice for lower back pain sufferers who like a firmer bed. 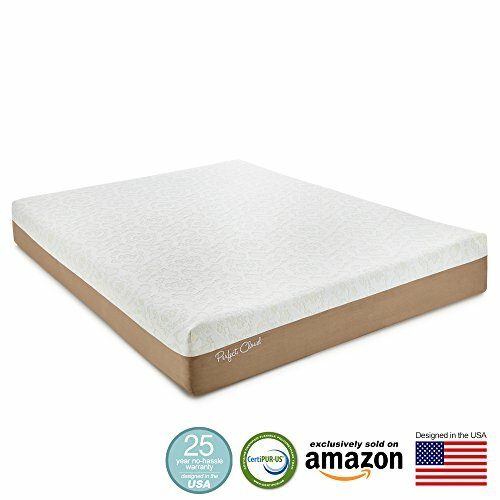 We like the price, too, which is a nice midpoint between the Perfect Cloud and the DreamFoam.​ So, to learn more then keep reading our Sleep Innovations Mattress review. And, on our review of the Sleep Innovations Mattress, we will discuss all the benefits and information about this product. Hope you enjoy our review about these products made for people with bad backs. It sleeps relatively cool. A layer of SureTemp memory foam on the top uses open-cell technology. This distributes heat more evenly than traditional foams to ensure a quality night’s sleep. This is supported by a thicker base of foam, providing strength and stability.We like the 9″ support block because it’s more supportive for heavier sleepers and less likely to cave or develop soft spots over time. In fact, Sleep Innovations specifically recommend this to heavy people, who are more apt to suffer from back pain. It’s ideally suited for someone who wants a firm, supported sleeping position. Some buyers said that the firmer surface was a better choice for their back pain. That can be true in many cases since a lot of back pain is due to spinal misalignment at night. If your sleep surface is too soft, your spine can curve beyond level, and cause pressure points. A few previous buyers said that while they had been soft bed people in the past, they came to like the firmer mattress since it reduced their lower and upper back pain. The whole item is made from allergen and dust mite resistant foam. It’s a good choice for people with sensitivities or allergies. Even though it’s made in the USA, it still costs about the same as the Perfect Cloud. It’s also more affordable than the DreamFoam. Several reviewers commented that the SureTemp was a steal compared to much more expensive products by TempurPedic, Serta, etc. Having slept on the Sleep Innovations Mattress as well as the big brand names, buyers said they actually preferred this one. Plus, Sleep Innovations Mattress backs all of their products with a 20-year manufacturer’s warranty, so you’ll be well looked after! While the manufacturer states the density as “medium,” several reviewers were disappointed that the foam did not contour as much as they expected. It’s definitely on the firmer side. If you’re looking for something with more “give,” try one of our other recommendations. Reviewers also found that the temperature control did not work as well as they expected. They advised that people who sleep warm should probably avoid this model. In fairness, Sleep Innovations markets the temperature as “neutral,” not “cool.” It’s not as airy as the Perfect Cloud. Many reviews from buyers described the Sleep Innovations mattress as an excellent, quality product. They were very impressed by the construction materials and the quality alike. We think it’s a sure bet for people who want a firm, sturdy mattress that’ll last for years. If the firmness isn’t to your liking, Sleep Innovations provides a great chart online comparing the stability, temperature, materials, etc. of all of their models. Sleep Innovations, in our book, is in the "best mattress for back problems" conversation. Its quality is for sure a thing that you cannot ignore, and then if you take into account effectiveness of it helping people with their health problems, then you have another world of benefits. This one is our recommendation for people who want the plushest sleep experience. It’s the thickest of our recommendations, and its 13″ are packed with comfort features we love. There’s are a full 5″ of comfort foam before you hit the support block, and the smart gel construction keeps heat to a minimum. We especially like the build quality–it’s all made right here in the USA, and guaranteed for 20 years. So, if you want to read more about our Dreamfoam mattress review then keep on reading to know if it is indeed the best mattress for a bad back. The DreamFoam Mattress is an even softer product than the Perfect Cloud. That’s mostly because its top comfort layer is twice the depth of the first model. It’s still supportive, though, with 8” of the base of underneath. We like it because it provides equal support for your whole body, without causing any area to sink in. That’s quite a feat for a mattress this soft. Based on our Dreamfoam mattress review, one benefit of the extra memory foam layers is that people who sleep on their sides have plenty of space for their shoulders and hips to sink in. This relieves pressure points which can spring up on thinner beds. That’s not to say that you’ll sink too far, though. Previous buyers said that as comfortable as it is, the Dreamfoam mattress springs up to support you, and returns to its shape as soon as you get up or change position. The surface foam contains gel beads embedded in the memory foam. They’re designed to solve the heat problem with memory foam beds. Most reviewers remarked that the bed dissipated heat quite well. That’s especially important with a mattress this thick. If you’re going to be sinking in more than an inch, there’s a tendency for heat to build up in normal memory foam, which can make some people sweaty and restless. The Dreamfoam mattress is 100% USA-made, to a much higher standard of quality than outsourced models. Further, it is Certi-Pur US certified, which means that it’s free of formaldehyde and other toxic ingredients that you’ll find in cheaper foams. The whole thing is covered by a 20-year warranty and excellent customer service. The domestically-produced and tested materials mean you’re getting a healthier, less smelly cushion overall. It has also been shrink-wrapped only during the shipping process. The manufacturer says that this significantly reduces off-gassing, as most memory foam is shrunk during the construction process and is never allowed time to air out before it gets to you. Most reviewers agreed that it made a big difference, saying that they barely noticed a smell when they opened the package. Some reviewers found that the Dreamfoam mattress didn’t meet their needs in the heat department. The thicker and softer the mattress, the more likely you are to run into problems with heat. Also, the DreamFoam doesn’t have air channels built into the lower tiers of foam (like you’d have with the Perfect Cloud and other models). ​It’s expensive. This one’s a fair bit more expensive than the Perfect Cloud. However, part of that cost is the domestic production. You can also put a bit of the price difference down to the thicker build. In any case, this isn’t the most budget-friendly choice out there. The DreamFoam is a more luxurious mattress than the Perfect Cloud, and that’s reflected in the price tag. However, you’re getting a thicker mattress with more comfort. Many reviewers compared this model too much more expensive mattresses and were overwhelmingly satisfied with their purchase. Also, the manufacturer seems to have excellent customer service. People who asked about their needs while shopping received prompt, helpful responses. DreamFoam provides a 20-year warranty and custom sizes are available. The DreamFoam is our top quality pick for a reason! The Perfect Cloud Mattress is a great hybrid option that uses a wide variety of materials to provide a solid mix of structure and cushion. We love the gel beads and smart air channels, which solve the heat problem that plagues most memory foam models. This is the best choice for people with lower back pain who sleep warm. And, keep reading our take on our Perfect Cloud Mattress review right here especially if you have a bad back. It’s a very nice midpoint regarding comfort. The Gel Plus is built from a 3-layer foam system with a removable fabric cover. The three layers work together to provide a decent amount of cushion, without sacrificing structure or stability.There’s a 3″ top layer of memory foam cushioning, which is designed to mold and shape to your body, to keep you from tossing and turning in the night. Underneath, there’s a “comfort” layer, which relieves pressure points. It’s a critical feature for people who have back symptoms at night. At the bottom, there’s a solid 4″ of structural support foam to keep you from sinking in too far. It stays much cooler than other memory foams. The top layer is a mixture of gel beads and open-cell memory foam. These materials work together to allow your body to be absorbed into the surface layer while distributing your body heat away from your body through the gel. Both the middle “comfort” layer and the dense support layer at the base of it have airflow channels built in, to make extra sure that you remain fresh. Most reviewers didn’t notice any increase in bed heat in the transition from a traditional spring bed to the Perfect Cloud! Several reviewers who had previously experienced lower back pain with other beds said that the Perfect Cloud solved the problem. We found that the Perfect Cloud provided ample relief for people with severe spinal conditions, as well as general aches and pains. Many previous buyers found that the depth and responsive quality of the memory foam absorbed the movement of their sleep partners, allowing them to sleep undisturbed. All the foam used in this one is Certi-Pur certified to have low emissions and odor during the initial off-gassing period. It’s also free of some of the toxic chemicals that are used in cheaper, budget memory foams. The materials are made in Germany, where there’s strict environmental regulations that you can rely on. 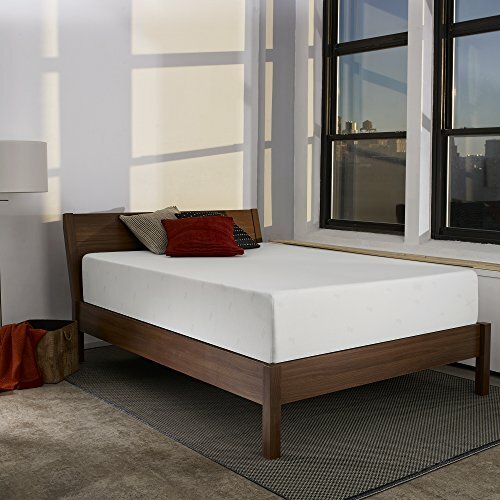 It’s covered by a 25-year warranty, which we think is very impressive for the Perfect Cloud mattress to be at this price. A couple of reviewers found that theirs did not expand to the exact dimensions they expected. One concluded that it only reached a height of 9 inches, and another found that a queen size model developed to 41 inches wide instead of 39. However, this problem seems to be relatively rare, and both reviewers said that the return process was easy. Perfect Cloud does have an excellent reputation for customer service, especially compared to some other online brands. Some online reviewers have complained about a persistent chemical odor, lasting beyond the manufacturer’s recommended airing period. Most of these critical reviews found the off-gassing to be faint but persistent. With any of these products, you’ll want to let them air out as long as possible before sleeping on them. In this case, you ought to use a fan to accelerate the process. In our analysis of buyer reviews, we found the odor to be unnoticeable or of minor concern. The reviewers who had the most success say they let it air out on its own in a well-ventilated space for at least 24 hours. This one is designed to create a comfortable sleep experience above all else.We love the smart cooling features, as well as the important balance between structure and comfort. Best of all, it features a 25-year “no-hassle” warranty from the manufacturer. It’s the least expensive of these models, and 81% of reviews gave it five stars! 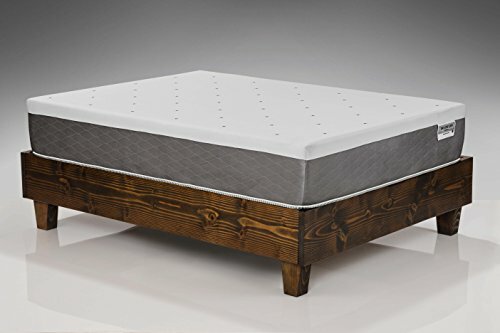 In short, we think it’s a great buy for back pain sufferers who like a cushy bed like the Perfect Cloud Mattress that will keep them fresh and comfy, all without breaking the bank. There is no doubt that Perfect Cloud Atlas Gel-Plus is one of the best beds for back pain. I think after using it for a while, it will be clear that is is a top-notch product. So, what is the best mattress for back pain? What is the most affordable one for my price range? Which one of these products will help me alleviate the pain the most? The Perfect Cloud is the least expensive mattress seen here. It’s cool, comfortable, and has an extended warranty period. It also provides a good midpoint between the cushion of the DreamFoam and the stability of the Sleep Innovations. We’d recommend it to buyers on a budget, and people who like something a bit softer than average for relieving your nocturnal aches. If you want a softer, more luxurious bed, you might be happier with the DreamFoam. It allows you to sink in a bit more and isolates movement in the bed for a sound night’s sleep. We think it’s the best overall quality, but it does have the highest price tag. But if you think about it, you're getting a good-quality product which most people think is the "best mattress for lower back pain" and that is something that you don't hear very often. So many people have reviewed this model, and I have yet to hear that anyone is disappointed with its performance. Right in the middle is the Sleep Innovations model. It provides dependable, reliable overall quality, for only slightly more than the Perfect Cloud. Of the three models, it has by far the most (and best!) reviews online, and deals fairly well with all criteria: comfort, heat distribution, and smell. This seems to be the best choice for the general public. If you’ve had problems with heat, you’d be better off with the Perfect Cloud. Likewise, if you want a bed that is primarily designed for comfort, you’ll want to think about spending a little more for the DreamFoam. There is a reason why people call it the "best mattress for back and hip pain" and I would attest to that claim. Not only does it provide you with the support that you need throughout the night but it also improves your health over time. And that is just something that you won't be able to achieve in most other products that you see for sale. Sleep Innovations has yet again proven its dominance in the industry, and it shows with some customer testimonials that it is getting from thousands of happy clients who have used the best bed for back problems. Don’t forget to check whether you’ll need a box spring or other support for your new mattress! Manufacturers generally list that info﻿﻿rmation right on the mattress page, and you’ll be able to order everything together. Make sure that you read the article that we have provided to ensure that you are on the right track to a better night's sleep. ​So, now that we have established how important it is to find the best mattresses especially if you have chronic back pains and all that as well as how critical it is for your long-term health. Our review of these products will certainly help you out to find the most appropriate bedding for your condition. One thing that most people tend to forget about when it comes to bedroom furniture is how useful a good product is for your body's health. Not only can it be good for your back, but it's also great for your mental health as well because you'll be able to rest better each and every single night. Sweet dreams! Looking for more super comfortable mattresses for lower back pain? Check out the best sellers on Amazon!